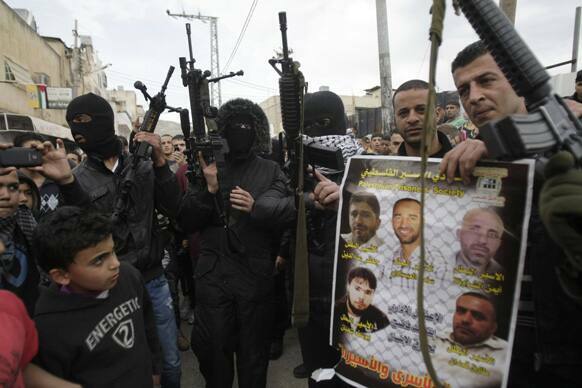 A man holds a poster showing imprisoned Palestinians as he is surrounded by armed militants in in the Balata refugee camp in the West Bank town of Nablus during a rally in support of Palestinian prisoners. 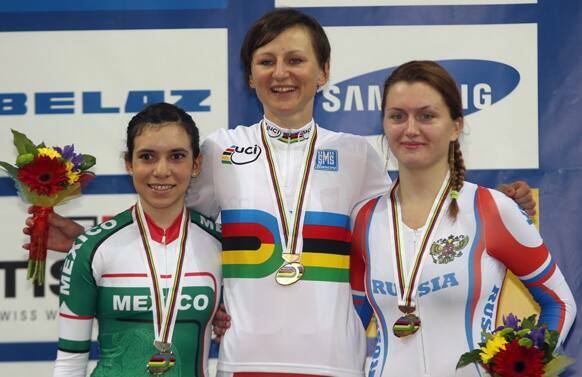 Gold medalist Poland`s Katarzyna Pawlowska, is flanked by silver winner Mexico`s Sofia Navarro Arreola, left, and bronze winner Russia`s Evgeniya Romanyuta during the awarding ceremony at the Women`s Scratch Race during the Track Cycling World Championships in Minsk, Belarus. 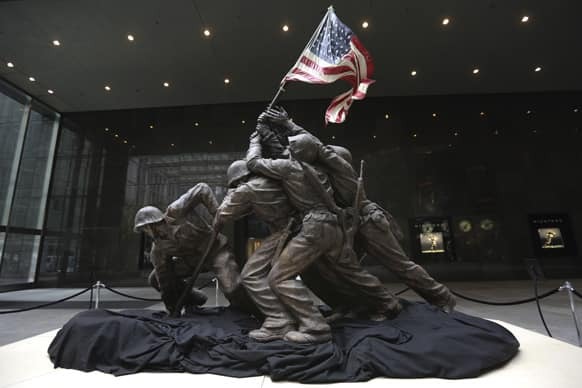 The original 12 1/2-foot (4 meter) cast stone version of Felix de Weldon`s iconic statue depicting soldiers raising the U.S. flag at Iwo Jima is on display. 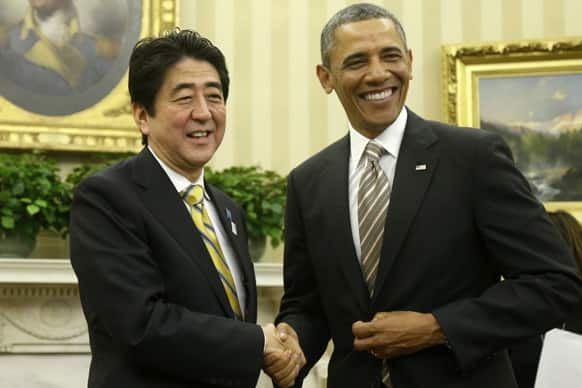 President Barack Obama shakes hands with Japan`s Prime Minister Shinzo Abe in the Oval Office of the White House in Washington. 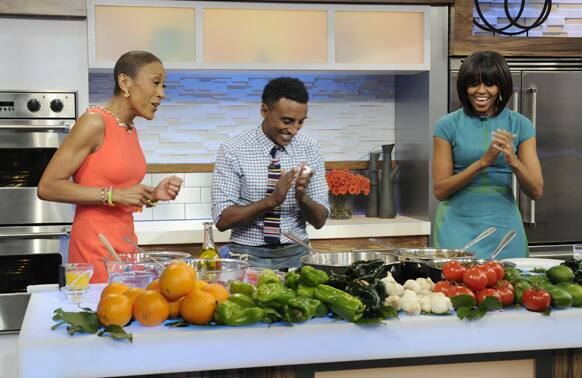 This photo released by ABC shows host Robin Roberts, chef Marcus Samuelson and first lady Michelle Obama during a taped segment on "Good Morning America," in New York. 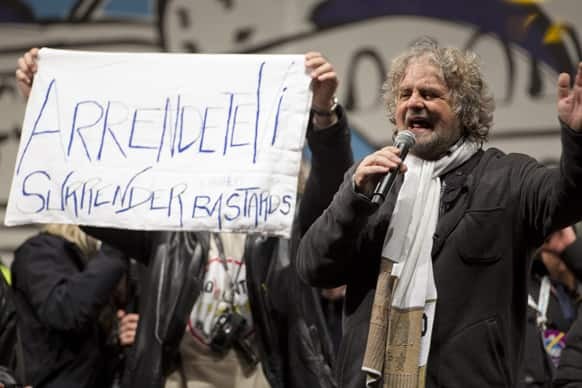 Italian comic-turned-political agitator Beppe Grillo, leader of the anti-establishment 5 Star Movement, delivers his speech during a final rally in view of the upcoming general elections, in Rome. 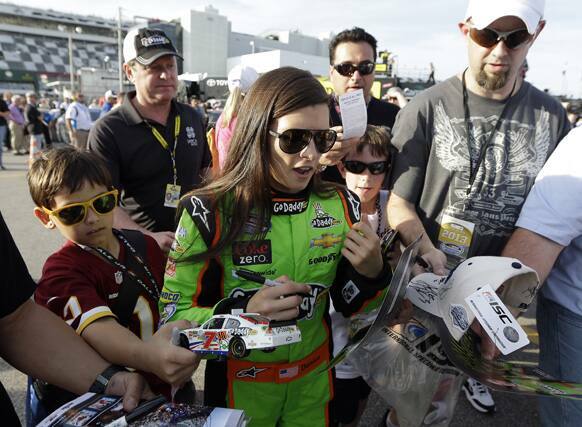 Danica Patrick signs autographs for fans after her qualifying run for Saturdays NASCAR Nationwide Series auto race, at Daytona International Speedway in Daytona Beach, Fla.
A woman holds a candle along with a poster of Venezuela`s President Hugo Chavez at a candlelight vigil to pray for his health as he remains in a hospital undergoing cancer treatment, in Caracas, Venezuela. 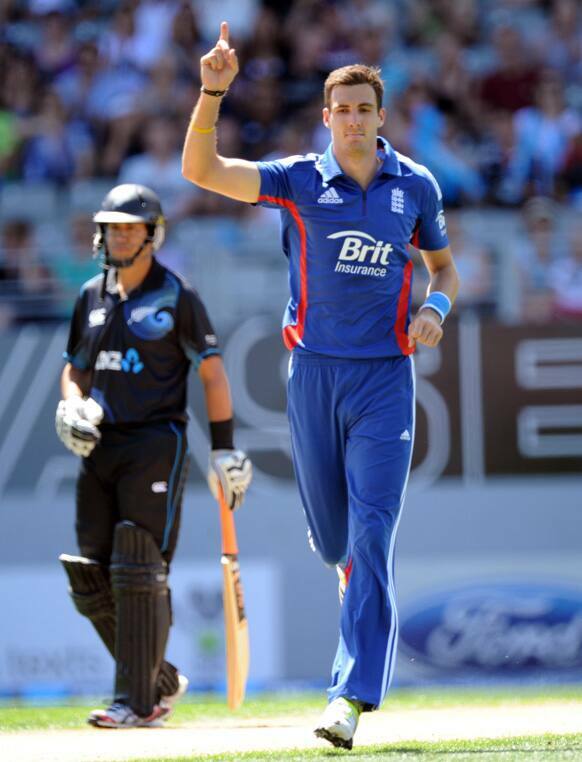 Mixed martial arts fighter UFC bantamweight champion, Ronda Rousey poses during a weight in at the Honda Center in Anaheim, Calif.
England`s Steven Finn celebrates dismissing New Zealand`s Hamish Rutherford for 2 in the third one day international cricket match at Eden Park in Auckland, New Zealand. 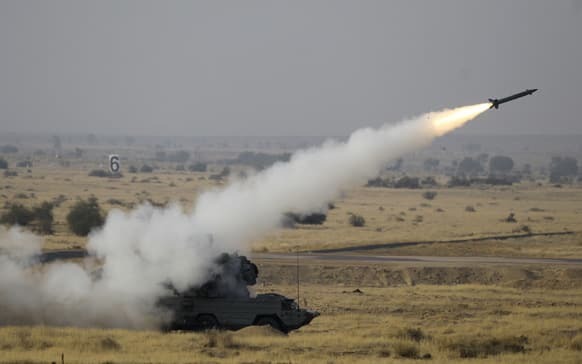 OSA AK-M surface to air missile is launched during the "Iron Fist 2013" exercise, in Pokharan. Indian Air Force`s first day-night exercise showcases more than 30 types of platforms and Weapons Systems amounting to a participation of about 230 aircraft, according to local reports. 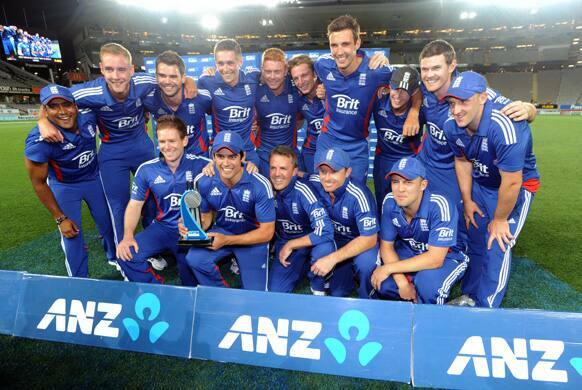 England captain Alastair Cook poses with the trophy and teammates for photographers after defeating New Zealand in their third one day international cricket match at Eden Park in Auckland, New Zealand. 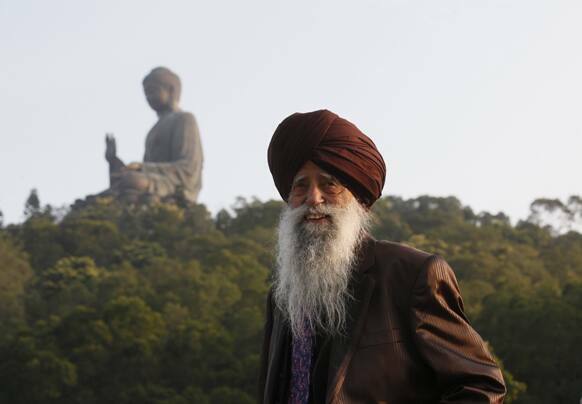 Centenarian marathon runner Fauja Singh, 101, originally from Beas Pind, India but now lives in London, visits the giant seated Buddha statue in Hong Kong`s outlying Lantau Island . Singh will participate in a 10-kilometer race at the Hong Kong Marathon on Sunday before retiring from public races. 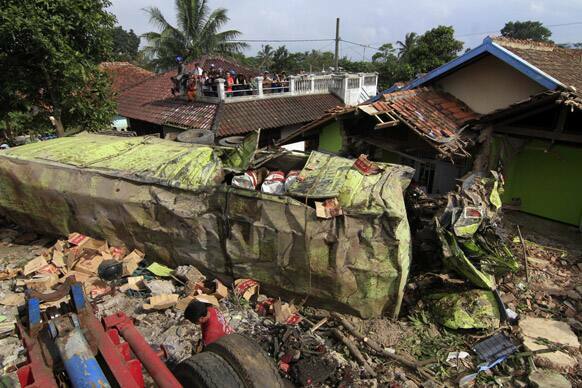 Residents examine the wreckage of a container truck that hit several houses in Cianjur, West Java, Indonesia. 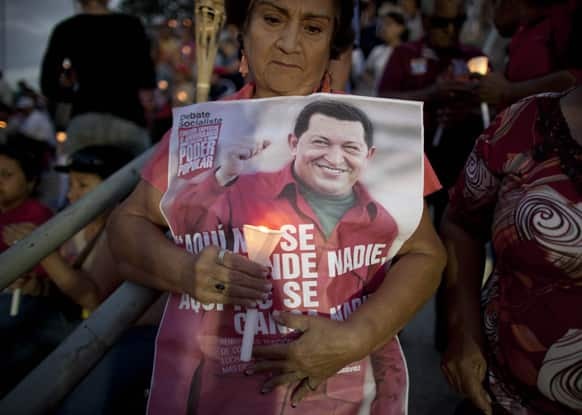 Police said the truck driver appeared to have lost control when his brakes failed, and hit a number of cars before slamming into several houses. 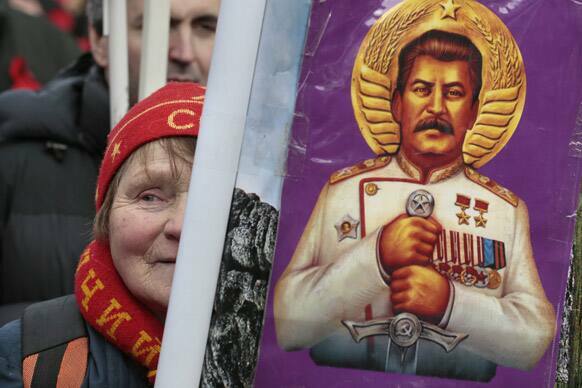 A woman holds a portrait of the Soviet dictator Josef Stalin, during a communists rally to mark Defenders of the Fatherland Day in Moscow, Russia. People look around lanterns on the eve of the Lantern Festival in Taipei. 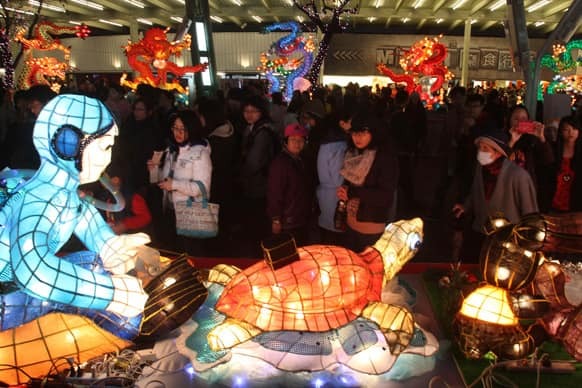 The Lantern Festival traditionally starts 15 days after the Chinese Lunar New Year and falls on Feb. 24 this year. 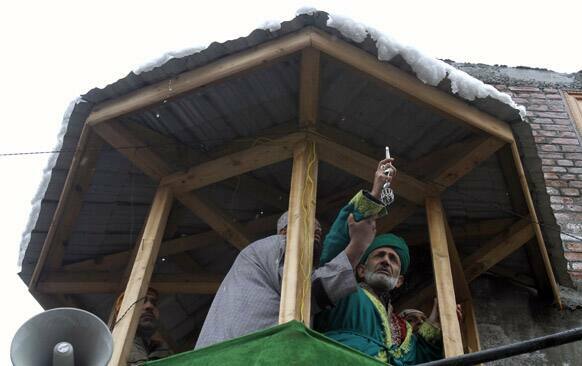 A Kashmiri head priest displays a relic of Syed Abdul Qadir Jilani, at his shrine in Srinagar. Thousands of devotees thronged to the Syed Abdul Qadir Jilani`s shrine which houses the relic of the saint, during an 11-day festival to mark the saint`s Urs. 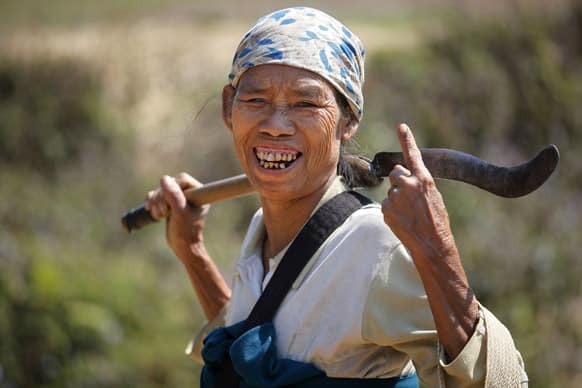 An elderly Khasi woman displays the indelible ink mark on her finger after casting her vote, outside a polling station in Marngar, in the northeastern Indian state of Meghalaya. 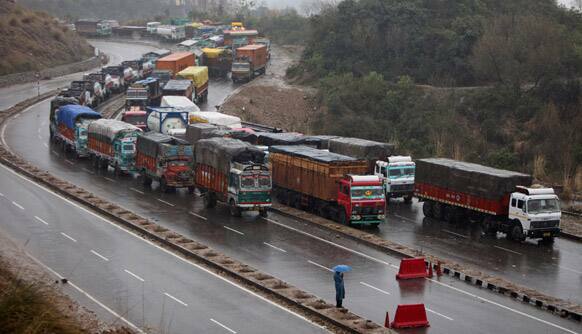 Stranded trucks wait for the Jammu-Srinagar highway to reopen on the outskirts of Jammu. A fresh spell of rain and snow has blocked the road linking Jammu and Srinagar. 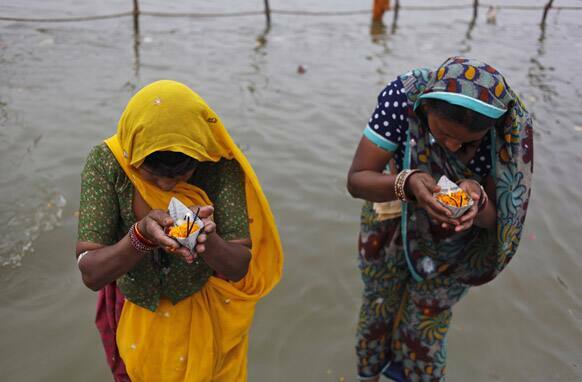 Hindu devotees perform rituals at the Sangam, confluence of Hindu holy rivers of Ganges, Yamuna and the mythical Saraswati, during the Maha Kumbh festival in Allahabad. 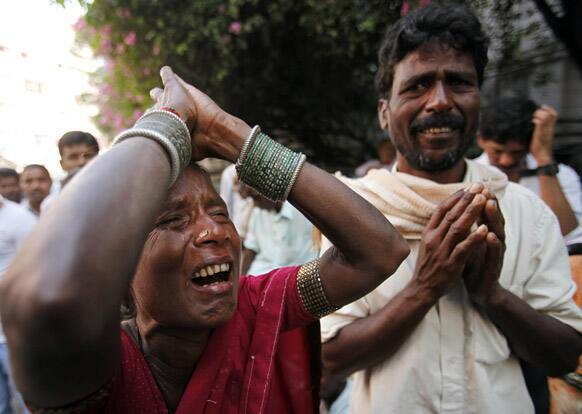 Family members of Dabbu Ramesh, who was severely injured in Thursday’s explosions, cry outside a hospital in Hyderabad.